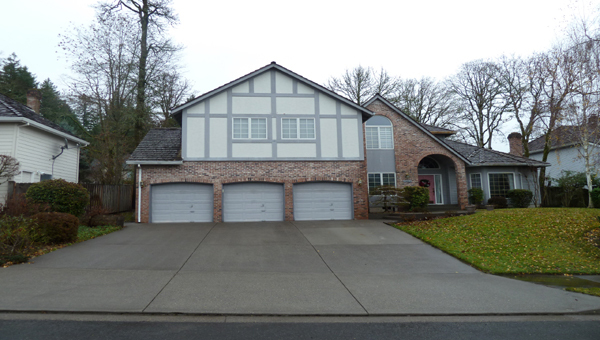 Most homes in the Northwest have mold on the siding. The proper way to wash siding is not to use pressure. We use a method called soft water washing which cleans your siding using virtually no pressure at all. Call today (503) 844-6600 or click "Contact Us" in the upper right hand corner. We can turn even the blackest of driveways clean again in no time. We have specialized equipment to clean dirt and mildew away without damaging your property. Call today (503) 844-6600 or click "Contact Us" in the upper right hand corner. We can safely and efficiently clean your home, driveway, patio, and walkway in about a day. We use only the best products in the industry to provide you with the best results possible. Call today (503) 844-6600 or click "Contact Us" in the upper right hand corner. When it comes to pressure washing, we have nearly 20 years experience in the industry. 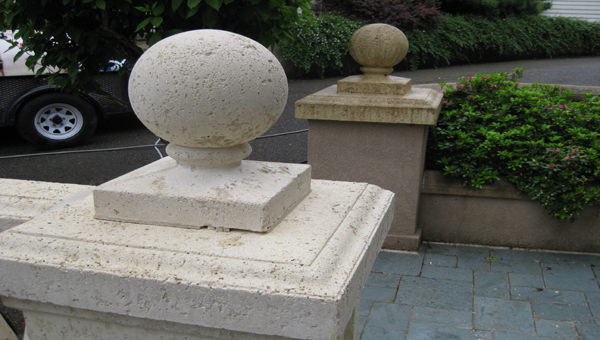 Pressure Washing sandstone is something not many companies would tackle. We used soft water washing techniques to tackle this large job. Call today (503) 844-6600 or click "Contact Us" in the upper right hand corner. Does your driveway look like this? This is caused because of poor pressure washing technique and using the wrong equipment for the job. Call today (503) 844-6600 or click "Contact Us" in the upper right hand corner. We sincerely appreciate all the customer support and business Portland Oregon has given to us over the 20 years. We would like to thank you for your continued support and business. Call today (503) 844-6600 or click "Contact Us" in the upper right hand corner. I have put together a two part video series on how to wash a house safely. Our soft water washing services are perfect for house washing, because the process involves no pressure! We can safely rinse away years of dirt and mildew from vinyl siding, stucco and hardiplank. 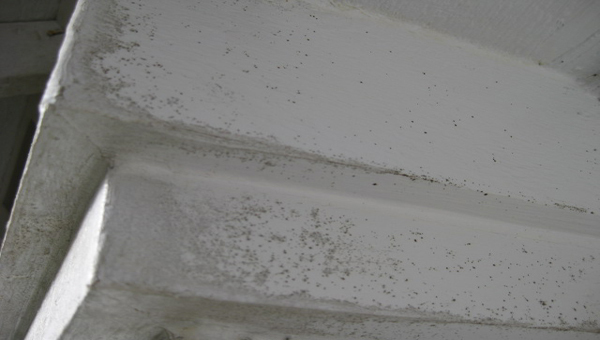 Do the exterior of your gutters have unsightly mildew streaks and mold? If you are thinking of painting your home this coming year consider our pressure washing services. Your paint will last longer if the house is properly cleaned of mold and mildew before new paint is applied. We have seen many homes improperly washed using high pressure and water alone. We treat the exterior of your siding , eaves, and gutters with a biodegradable house washing solution prior to cleaning. Then, we gently rinse the siding off without high pressurized water. Call today (503) 844-6600 or click the Contact Us link provided in the top right corner. When choosing a power washing company to wash your home, be careful to ask specific questions about the process involved. What are the chemicals (if any) that are going to be used on your home? Is high pressure going to be used around siding or window frames? Power washing can cause instant leaks around the window seals allowing the gas to escape, and ruining your windows! Window seals can also develop a slow leak that may take a year or more to develop and appear as condensation or silver spots. Some pressure washing companies have trouble getting insured to wash homes because of the risk of siding damage. Just ask any insurance agent about house washing claims. With the average house washing price ranging between $500 to $800, which is barely the cost of a new window, isn’t it worth it to have your home professionally cleaned by a trained soft water washing technician? Call today (503) 844-6600 or click the Contact Us link provided in the top right corner. 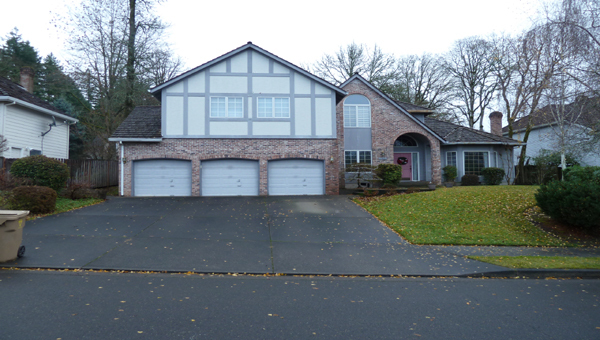 Residential pressure washing in Portland Oregon. 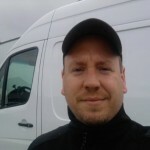 My company has been serving the Portland Metropolitan area for almost 20 years. Our residential pressure washing services includes driveway cleaning, sidewalk and patio cleaning, and house washing, as well as some commercial projects. We use only products and equipment that meet or exceed the industry standard. We exclusively use Landa products, which are considered among many to provide superior service and performance to our clients. We carry specific insurance to cover pressure washing. Call today (503) 844-6600 or click the Contact Us link provided in the top right corner. Commercial pressure washing in Portland Oregon. Our company, Portland Pressure Washing has the right equipment to service larger accounts as well. We use only commercial grade Landa Northwest pressure washing equipment. Landa also offers superior products such as the Landa Water Jet surface cleaner, which ensures professional results every time. Call today (503) 844-6600 or click the Contact Us link provided in the top right corner.